The Women’s Health Initiative (WHI) was a large government-sponsored study about the benefits and risks of a popular form of manufactured hormones. To mark the 10-year anniversary of the WHI, a consensus statement has been jointly prepared by the North American Menopause Society, the Endocrine Society, and the American Society of Reproductive Medicine, and endorsed by 12 other medical societies in the United States, Canada, and Mexico. This consensus statement affirms that hormone therapy (HT) continues to have an important clinical role in the management of women with menopausal symptoms. 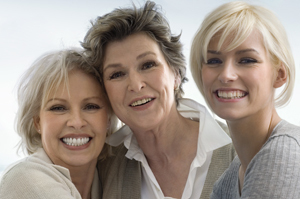 The purpose of this statement is to reassure women and their healthcare providers that hormone therapy is acceptable and relatively safe for healthy, symptomatic, recently postmenopausal women. The consensus statement concludes that hormone therapy continues to be an acceptable option for women with moderate-to-severe hot flashes, night sweats, and other menopausal symptoms, and it is best started in early menopause (within 10 years of the onset of menopause) or by age 59. Individualization is key, and a woman’s clinical factors should be taken into account, including age, time since menopause, and medical history. Since the WHI was first published in July 2002, some physicians have been reluctant to treat women with hormone therapy, despite the fact that many women are desperately seeking relief from symptoms that are negatively impacting their lives and relationships: mood swings, loss of libido, weight gain and insomnia. Concerns arose because the WHI found that an increased risk in breast cancer is seen with 5 or more years of continuous therapy with the hormones conjugated equine estrogens (CEE) and medroxyprogesterone acetate. This has caused considerable confusion because these hormones have been referred to under the broader terms “estrogen” and “progesterone” by the media and even healthcare professionals. In fact, CEE is from horses and is not the same as human estrogen, medroxyprogesterone acetate is NOT progesterone, and these hormones have substantially different benefit/risk profiles. The WHI acknowledged that the risks vary with different types of hormones. My consulting practice uses bio-identical hormones such as estradiol and progesterone when customizing hormone therapy per prescription to meet the specific needs of each patient. We work together with practitioners and patients to create hormone balance and have successfully relieved symptoms in patients who have not responded to or who have experienced intolerable side effects using manufactured hormones. Your questions are welcome.